I can't deny how excited we at Gear Live are about AgileBits's update to its successful password management app. 1Password Pro is now at version 4, and with it comes an overhauled UI and a host of cool, new features like iCloud support, integrated full browser, and demo mode. 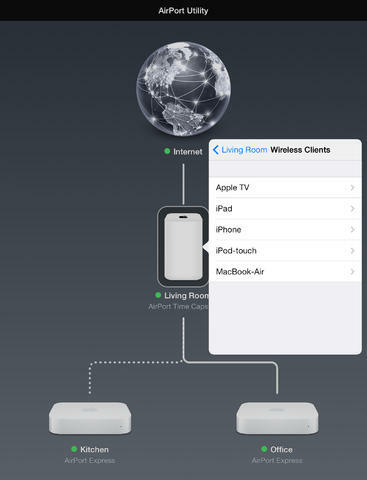 Undoubtedly, iCloud sync has to be the stand out feature. 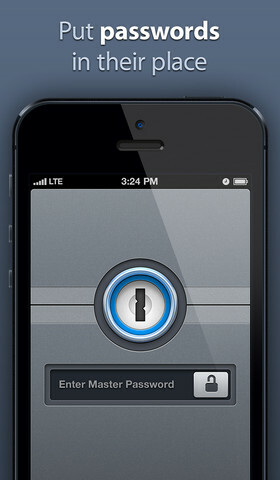 Now all of your iDevices that have 1Password 4 (1P4) installed will automagically have the same data whether it be iPhone, iPad, or iPod Touch, all transferred and stored in 256-bit AES encryption. You can also simultaneously use DropBox as sync protocol along with iCloud; great news for those who use multivendor hardware. 1Password 4 now has a new full integrated browser built right inside the app that has a URL bar, tabs and full access to your password vault. 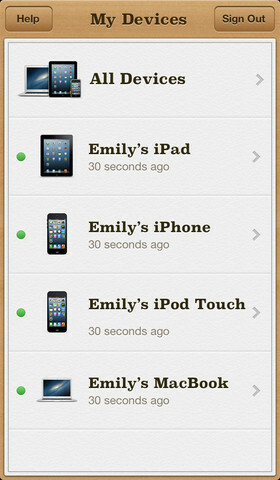 Apple has updated Find My iPhone to version 2.0.1 and has added driving directions to your lost or stolen Apple device. The update brings a new feature called Lost Mode, which we're assuming tracks movement and stops with pin points. 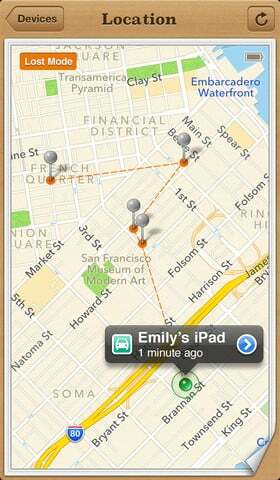 We at Gear Live highly recommend installing and enabling Find My iPhone on every iOS device you own. 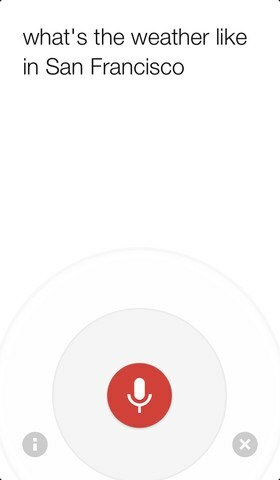 Just like that, Google has updated its Google Search app for iOS with the Google Voice Search functionality that mimics Apple's Siri, first seen on Android devices. For those using iOS, now you have the best of both worlds. The update went live yesterday, and is a universal iOS app update for all iDevices, which also includes the new iPhone 5, iPod touch, and iPad mini. 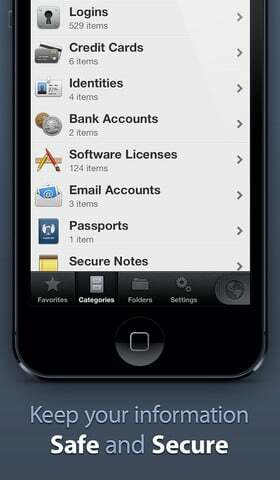 Users must be running at least iOS 4.2 to use the new app. My initial impressions of the Google Now voice feature is that it is quick, fairly accurate, and I like how it composes voice to text in real time. What are you waiting for? 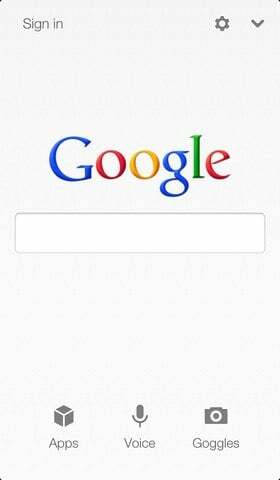 Go update and ask Google where to hide the body. 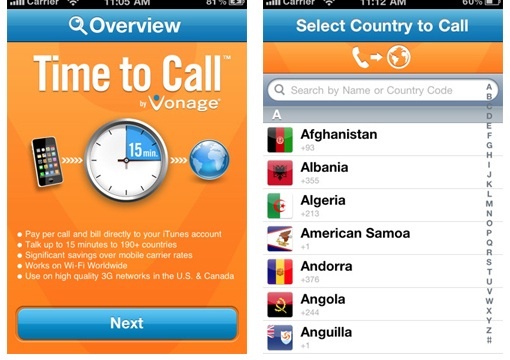 If you've been putting off calling your aunt in the Dominican Republic or your Slovenian cousins because of the cost of calling from your mobile phone, a promotion from Vonage should pique your interest. 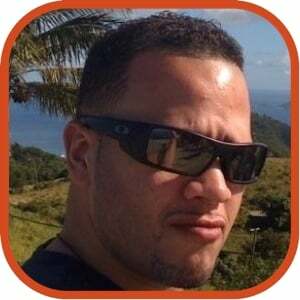 The VoIP provider is giving away one free international phone call, up to 15 minutes, to anyone who downloads its new iPhone app, Time to Call. 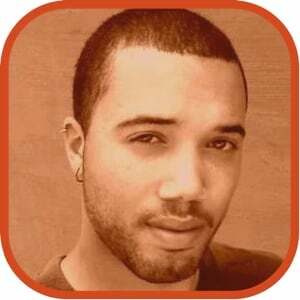 The app is also free. 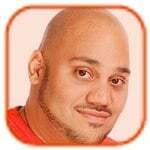 What's especially appealing about the offer is you don't have to be a paying customer of Vonage (from $11.99 per month) to use the app or get the one free trial call. The free call expires one year after you download the app. Be sure to check that the country you're calling is on the list of 100 that are included in the deal (check below). After your one free call, all calls are billed in 15-minute increments. Prices for the 15-minute blocks of international talk time range from 99 cents to $9.99, depending on which country you call, although calling most countries is less than $1.99. And typical of Vonage's slightly experimental nature, the Time to Call app doesn't charge you through pre-paid credits or an in-system account, the way other services such as Skype do. Instead, Vonage's app bills you directly through iTunes. There was a time when a jaunt through a foreign country meant stashing a translation guide on your pocket so that you could whip it out at a moment's notice to read a sign or understand a spoken word. 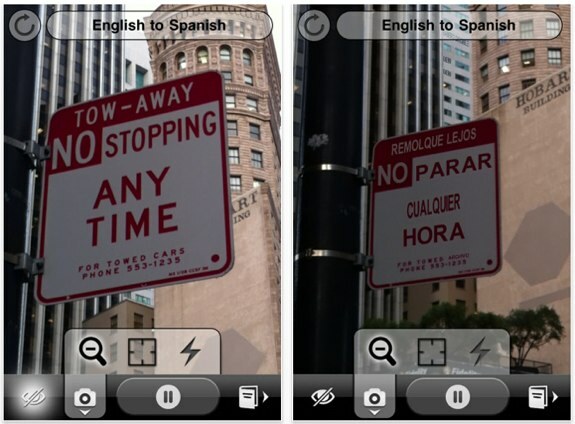 It's a rudimentary system that's worked for ages, but Quest Visual looks to change the game with its Word Lens free iPhone (free, but language packs cost $4.99) app, which translates printed text on the fly. The concept behind Word Lens is a simple one: You point your iPhone 3GS, iPhone 4, or fourth generation iPod touch's camera at printed text and the app translates the word on the fly simply by tapping the green button in the toolbar. That ability isn't included by default; you have to purchase one of the $4.99 language packs. Unfortunately, only two packs are available at the moment—English to Spanish, and Spanish to English—so the selection is extremely limited. Other undisclosed languages are in the works. 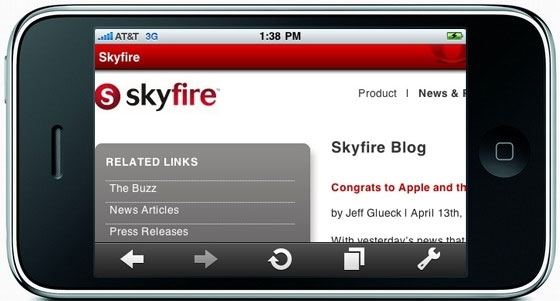 The Skyfire browser is now fully available in the App Store, and promises to bring Flash video to the iPhone. The browser actually has a server side component which converts any Flash video on the fly before sending it on to your device, which allows it to display Flash videos converted to a format the Apple device understands. However, it seems that the company underestimated the demand for Flash videos from iOS users, since mere hours after the app went live, it was pulled from the App Store. It seems those troubles have disappeared though, and in use the app performs quite nicely. If you're looking for a way to view Flash video across the Internet in your browser, check out the Skyfire browser for iPhone, available for $2.99. Ever feel the prying urge to know what’s going on inside your home when you leave your teenage son all alone for the weekend? Or just to check up on that sketchy baby sitter that you suspect is engaged in the larceny of your video game collection? How about just to watch public accessible surveillance cameras around the world for your own kicks? Whatever your fancy, Mobiscope wants to give it you. In real time. On your smartphone. While the home surveillance technology is not new by any means, Mobiscope gives wannabe spies on a budget a great way to start. All that you need to begin your snoop-tastic adventure is a simple web camera, and the Mobiscope app installed on your smartphone. 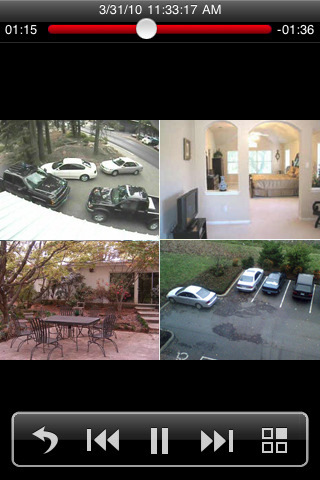 If one camera isn’t enough, you can access up to four well placed camera feeds at one time! The mobile app allows you to check up in real time what is going on in your home, or someone else’s (hey, no judgement here!). Spying can be hard, and Mobiscope knows this. That’s why the app lends you the ability to send an alert to your smart device when motion is detected so you don’t miss a beat! 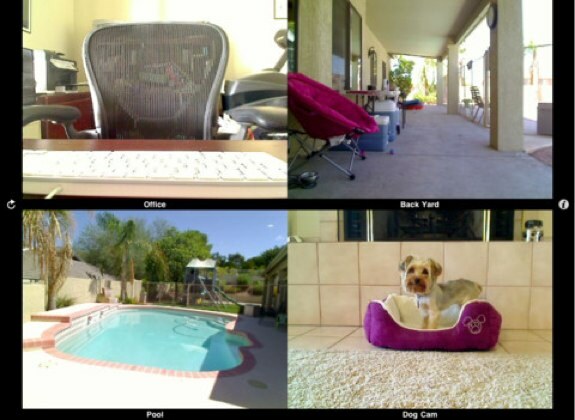 What’s more, the video feed can be recorded and viewed in real time with sound on the desktop edition, and on BlackBerry. This app will run iPhone users just $9.99, while Windows, Palm, Android, and BlackBerry users will have to fork over $19.95. If spying is the name of your game, then you will definitely want to equip yourself with this little stealthy on-the-go gem. 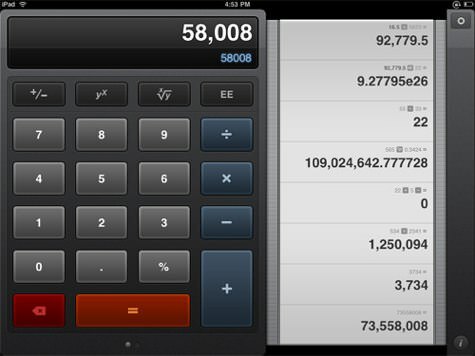 If you are looking for a simple, stylish, and highly functional calculator app for the iPhone and iPad, we think you should check out Calcbot. You have an interface that is very appealing and fluid, and you can swipe to pull up a register of your work, and can even pull results from the register into equations. The best part, though, is that Calcbot is a universal app (which means you buy it once, and you get both the iPhone and the iPad version) that costs just $0.99. Seriously, a buck for a great iPhone and great iPad app? Don’t mind if we do.